This content was published: April 9, 2018. Phone numbers, email addresses, and other information may have changed. For Kien Truong, college seemed out of reach. The cost of tuition and textbooks would be too high of an obstacle for his parents, who spoke no English and were working low-income jobs. In addition to these barriers, he and his family had just immigrated to the U.S. from Vietnam, and the thought of immersing himself in a post-secondary American institution was daunting. His father and mother would eventually find better paying jobs, but they weren’t enough to support a college education. In high school, Truong and his siblings found a counselor who was Vietnamese, too, and who helped guide them on how to navigate school and find resources. Meanwhile, it was Truong who had to step up to assist his family. As an Achieving the Dream 2018 DREAM Scholar, Truong has been on a speaking tour, sharing his inspirational success story. Eventually his fears and financial worries melted away. When Truong had the courage to enroll at Portland Community College, his English for Speakers of Other Languages teacher at Franklin High School steered him into PCC’s Future Connect Scholarship Program — a student success program that provides first-generation students with wrap-around support through academic coaching, mentoring, skill-building and scholarship assistance. Future Connect was the launch pad he needed to take off. The 21-year-old is in his final year at PCC, earning his associate degree with a 3.7 grade point average and ready to transfer to a university to complete a bachelor’s degree in international studies. When Truong isn’t organizing the annual Multicultural Night (which is coming up on May 15 at the Southeast Campus) or serving the college in its district student government, he’s hard at work representing all students on the PCC Board of Directors — just the second student to have ever done so. And, he has been selected to serve on the Association of Community College Trustee’s Student Advisory Committee. He spoke at the ATD national conference in Nashville last month. 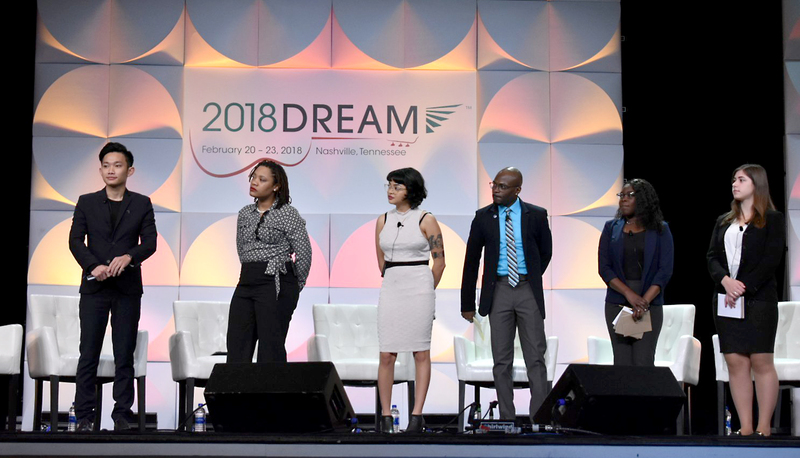 As an Achieving the Dream 2018 DREAM Scholar, Truong has been on a speaking tour, sharing his inspirational success story to much applause at conferences around the country, like the Association of College Unions International confab in Anaheim, Calif.
Each year, Achieving the Dream conducts a national competition among students in its network of colleges, to participate in a year-long experiential learning program that enhances leadership, critical thinking, and networking skills for those selected as Dream Scholars. Students are nominated by their institution and chosen through a competitive national application process. They are given the chance to attend and present at ATD’s annual professional development conference in Nashville, Tenn. The opportunity for Truong to be chosen as a Dream Scholar arose from PCC’s membership in the ATD network. And the college has used its membership to create the Yes to Student Success (YESS) framework, which is led by vice presidents Rob Steinmetz (Student Affairs) and Katy Ho (Academic Affairs). It is an institutional strategy aimed at increasing student success through building guided pathways, enhancing support services, implementing diversity, equity and inclusion tactics, and increasing PCC’s data and technology capacity. Truong helped raise $2,000 to buy food and school supplies for Vietnam’s Nhan Ai Orphanage last summer through the Spread the Love Project. 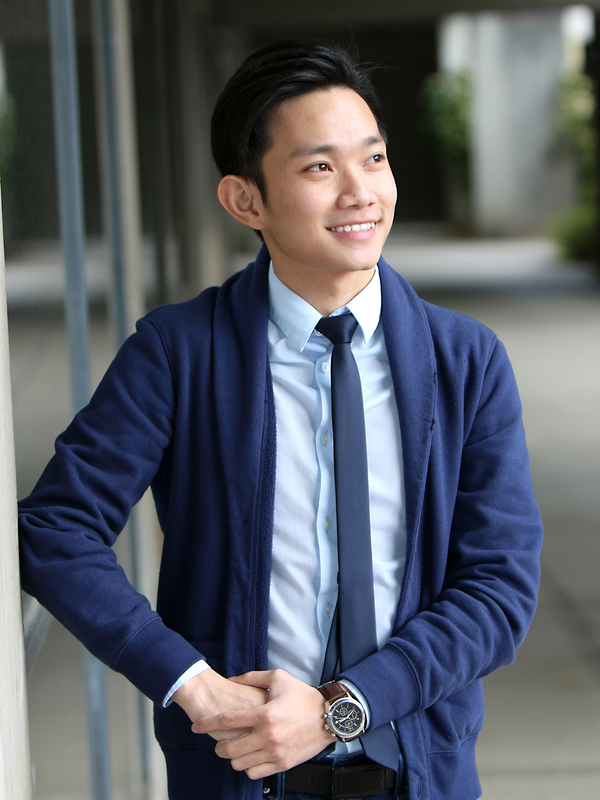 Removing barriers to college success is what motivates Truong, who serves on the YESS steering committee. Truong immigrated to Southeast Portland after his junior year in high school, enrolling at Franklin High School with his siblings (he has a younger sister and brother). Truong was able to overcome barriers thanks to that high school guidance counselor and the wrap-around support services of Future Connect. 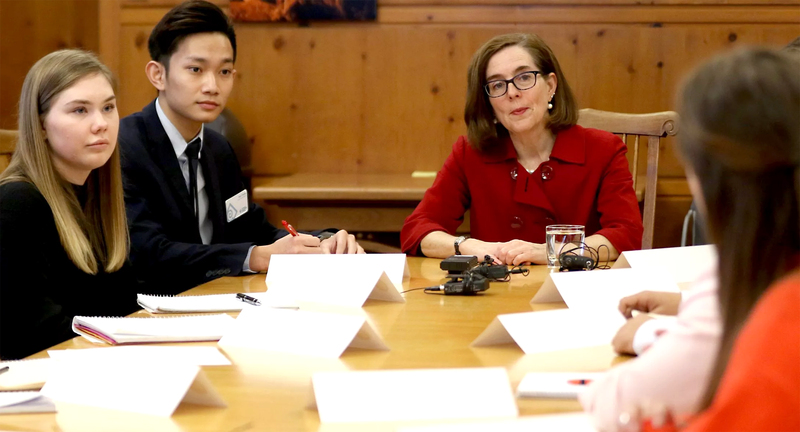 As he succeeded, though, he became concerned with the high cost of textbooks, recognizing that their affordability is a major obstacle of many students. He joined PCC’s Open Educational Resources (OER) Steering Committee in 2016 and helped organize the Textbook Affordability Campaign, where students shared stories about the impact of textbook costs on their academic journeys. Truong’s amazing journey has inspired other students to complete college. Since its start, the OER initiative has saved students more than $2.4 million in textbook costs. And as a result of his tireless work, Truong was honored with the Student Activism Honor Award by Oregon Open Educational Resources. “This award motivated me to work harder, so that not only could I contribute to the OER movement, but also encourage other students to join me in this effort,” he said. Truong, who has worked as vice president of service with his chapter of Phi Theta Kappa, has never rested on his laurels. In addition to his OER contributions, he helped found the PCC chapter of Passion Impact, a non-profit organization devoted to encouraging and facilitating long-term student volunteering. 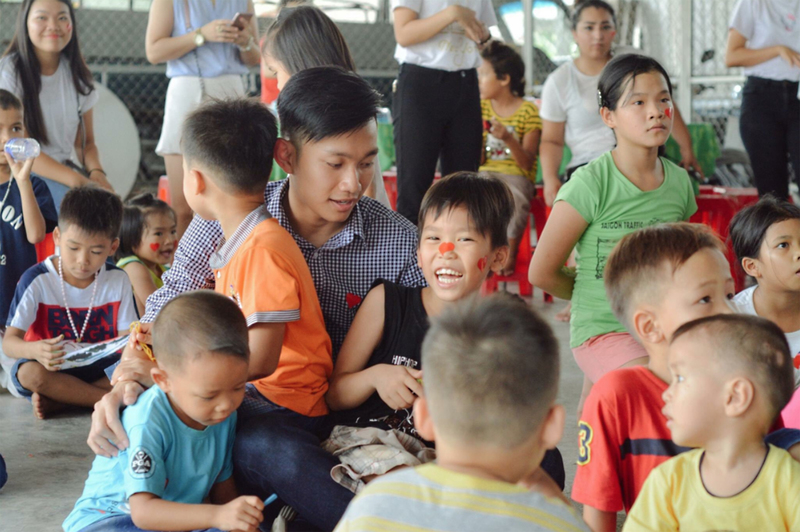 He also serves as event coordinator for the Unity Through Diversity student club, and helped raise $2,000 to buy food and school supplies for Vietnam’s Nhan Ai Orphanage last summer through the Spread the Love Project. 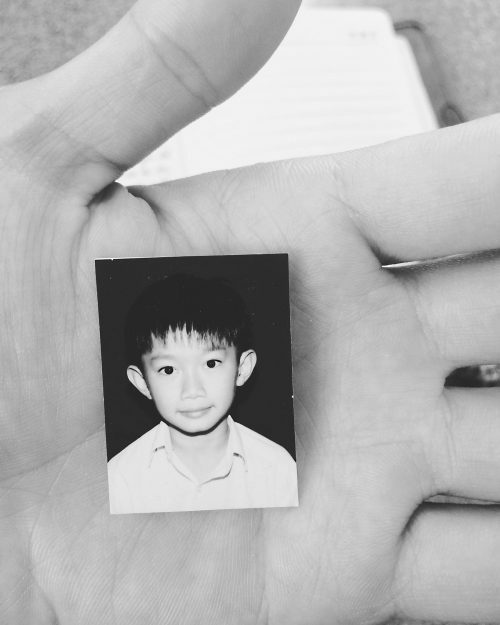 And mindful of his origin, Truong has always lended a helping hand to the Vietnamese Student Association, which supports international students and their navigation of college resources. An effort, he said, that helps make college within reach for more and more students just like himself. Kien, what can I say? You amaze me with everything you do to help make this community a better place. We should all have your passion and work ethic! I am so proud to have met you and I hope that our professional lives will cross paths in the future! Kien, you are a true inspiration to us all. I’m honored to have been able to work with you at Southeast. Many many thanks for all you do! Thank you, Kien, for your ongoing and tireless work to make the world a better place. PCC is fortunate to have you as a student; you are an inspiration to all who struggle–and succeed! Thank you so very much for your continued efforts to improve the lives of others. Your dedication and hard work is an inspiration to me. I relate to a few aspects of your story and hearing of your success pushes me to work harder to achieve my goals and aspirations in life. I am inspired by the great number of organizations and projects that you’ve been apart of. I’d love to get that involved in my community. How do you learn about such opportunities? I’d love to be able to chat with you and get to know you. You are an incredible gift to our community and our school. Thank you Kole, Blake and Linda for your support and kind words. I never stop being proud to be a community college student. Jenn Aarness, you can always reach me at kien.truong2@pcc.edu and I would be more than happy to chat with you. Many dreams will come true if you keep them going. I wish for you to fly higher and higher. Kudos, Kien! Thank you for your gusto at PCC. Very well done Kien. You made Vietnamese students proud of you. Your path to college is a lesson for us all. Hope to work with you someday. You’re an awesome individual and I feel honored that I was able to get to know you and do a project with you. You continue to inspire and amaze students and faculty. Keep it up and the world is yours. Way to go, he is such an amazing person and a super nice guy.